A 10-episode comedy web series, starring Andy Curtis and Nicola Elson. Filmed at the delicious Calgary-based Jelly Modern Doughnuts, U Jelly? 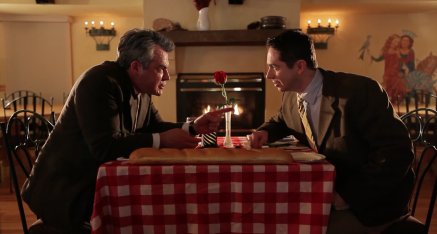 follows the awkward, jealousy-fueled budding romance of two detectives as they share a love for doughnuts. Written by Jason Long, Kevin Doree and Matt Watterworth; Directed by Scott Westby, Jason Long and Anna Cooley; Produced by Matt Watterworth and Scott Westby. 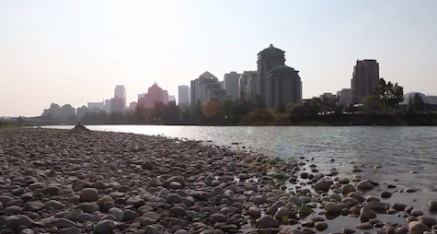 The first short featured in the Whatcha Got Calgary anthology, “A City and Its River” is a conversation between Calgary and the Bow, one year after the most devastating flood in our history. Starring Karen Ryan and Jayson Therrien. Produced, written, directed, filmed and edited by Scott Westby.